Placing an order online is the only way to get our products shipped to you. Again, we cannot take orders by phone, mail, or fax–the Webstore is the only option for having fruitcake, creamed honey, or truffles shipped to you or your loved ones. To place an order online, go to our secure webstore, www.monasteryfruitcake.org. Your order is processed by our shipping partner in Martinsburg, WV, but rest assured that what you receive is the authentic product, fruitcake and/or creamed honey, made in our Berryville monastery bakery. Please note the best prices and many additional items are available ONLY in the Gift Shop on our beautiful, quiet property: limited edition products made here at Holy Cross Abbey, a large store of books on spirituality and products from many other monasteries which are not available online. So if you can, please come visit us! 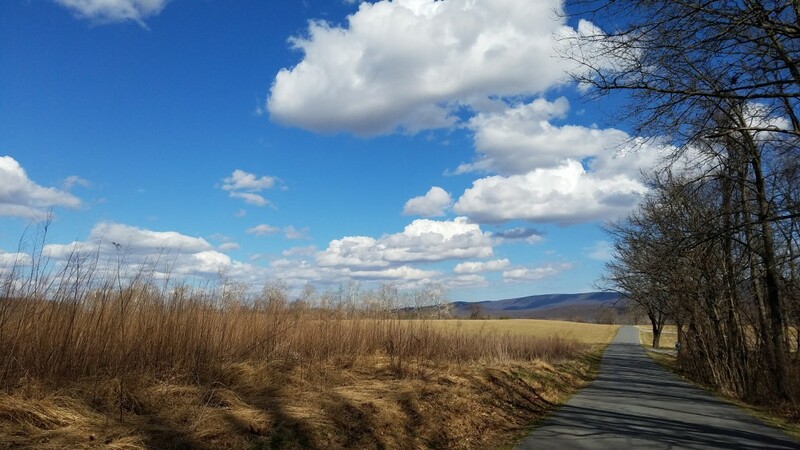 Enjoy expansive views of rolling Shenandoah farmland and the Blue Ridge, pray with us, and get your fruitcake and creamed honey directly from the hands of the monks who make them! Be sure to check the prayer times for our chapel here and the limited Gift Shop hours here. Your next great Saturday or Sunday outing could be one of peaceful prayer, visiting the Gift Shop and walking around the quiet farm, fields, and woods of Holy Cross Abbey! See our Fruitcake availability and learn about other products made at Holy Cross Abbey here. …continue to The Bakery Webstore. And thank you for your interest in our Monastery products! The view on first entering our property.